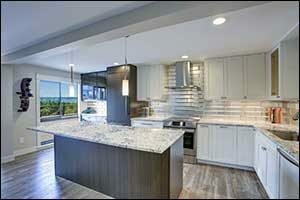 One of the most frustrating aspects of doing Southcoast kitchen remodeling is how quickly design trends come and go. If you want a truly modern looking kitchen that will stand the test of time, consider using basic Shaker style kitchen cupboards in a neutral color. While it is true that your kitchen cabinets and cupboards will stand out and be the first thing that most people notice when they visit your home, there are other ways to add a splash of color and personality to your Dartmouth kitchen remodel. Whether you choose top quality designer kitchen cabinets or decide to select something more affordable to stay on budget, you can maximize the return on your investment when you install neutral cabinets. While most people know that white is a good color for small space, it is also an excellent choice for mid-size and larger kitchens as well. White cabinets, and variations on white including ivory, cream, winter white, gray, and other neutral tones, create a space that is clean and welcoming. Lighter cabinet colors have the unique ability to produce a positive backdrop for any decorative color scheme. When properly cleaned and maintained, Shaker style kitchen cupboards in neutral colors will brighten up any space and establish a classic, traditional look. It is possible to use neutral designer kitchen cabinets with just about any style for your Dartmouth kitchen remodel. The lighter finishes will work well with all of the top trends in kitchen design, including farmhouse, shabby chic, vintage, country, and even traditional Cape Cod. Even if you don’t have a design trend in mind, neutral colors will work beautifully with just about any color palette and texture, allowing you to create your own style without worrying about something clashing. This provides the homeowner with the opportunity to change other elements that include color and design throughout the lifetime of the cabinets, extending the value of the initial Southcoast kitchen remodeling project. One of the reasons that designers recommend the use of Shaker style kitchen cupboards in modern design generations after they rose to popularity is that they are classic in design, yet simple enough to look great with just about any type of decor. Traditional cabinets made from high-quality materials, provide homeowners with a beautiful base for their Southcoast kitchen remodeling project. Affordable, easy to keep clean, and available in a wide range of color options, Shakerstyle kitchen cupboards are a great way to create a trend-proof kitchen that will look great and provide you with many years of function and flair. The Cabinet Factory Outlet has several designer styles that fit the idea of neutral cabinets in the Shaker style. In particular, the Trenton Designer Kitchen Series offers practical sophistication in a lovely soft ivory that is traditional, yet beautifully modern. It features a full-overlay design and recessed panel door style with a five-piece or slab top door front. Make sure to notice the dovetail design drawers with full-extension, soft-close function. Soft-close hinges for cabinet and cupboard doors are standard, plus there is a wide array of accessories available to help you customize the look and feel of the space. 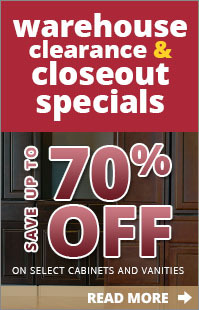 Stop by our showroom to see our full selection of designer kitchen cabinets for your Dartmouth kitchen remodel. Located in Swansea, MA, we are open to the public and available for browsing Tuesday through Saturday from 9 am to 5 pm. Give us a call at 508-379-6154 or stop by when you are available. Bring your contractor or designer with you if you would like and speak with one of our associates if you have any questions. We also have a selection of quality countertops in granite, quartz, laminate, and marble, in addition to cabinet hardware, specialty cabinets, and accessories to match your kitchen materials.